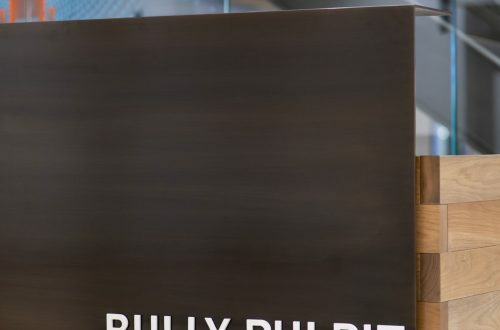 In the heart of Washington D.C. sits the new headquarters of Bully Pulpit Interactive, a political advertising agency. 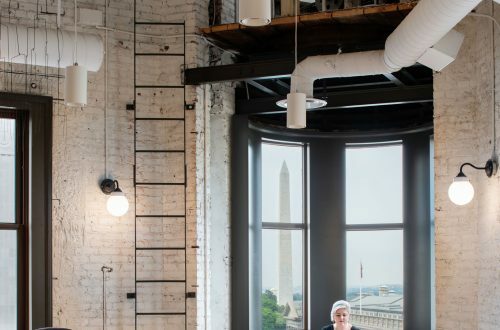 While the exterior of the building, which overlooks the Washington monument, exudes history, the interior is modern and unique. 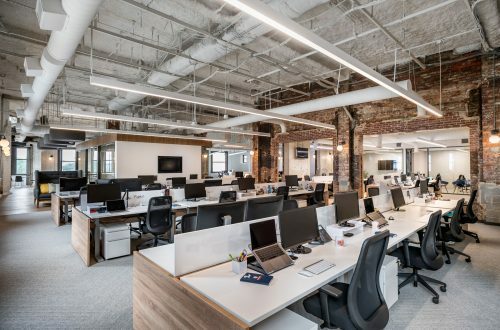 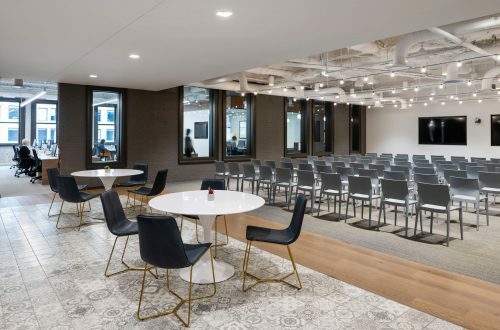 The team at The Forum, LLC used Teamworx, Confluence and Hover to help construct a one-of-a-kind work environment. 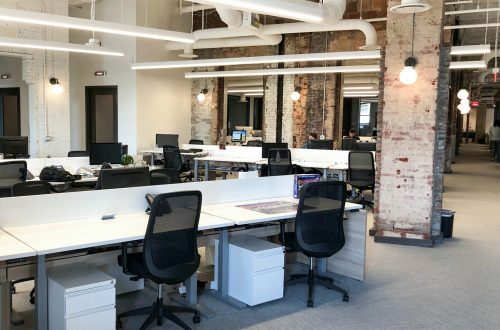 The Regal White and Rustic Oak finishes used on the tables compliment the exposed brick walls and eclectic aesthetic. 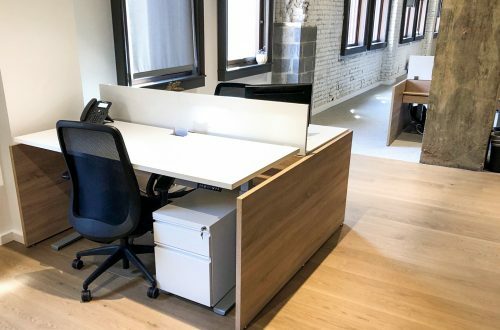 Each Hover workstation features carefully selected end panels that seamlessly blend in with the hanging woodwork. 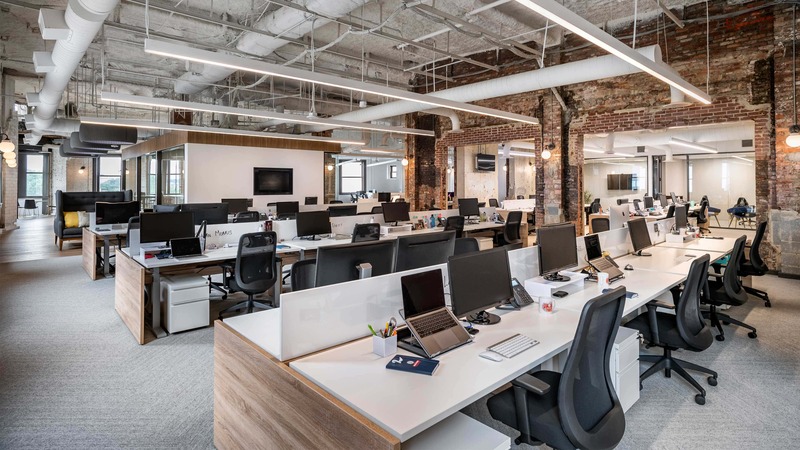 “We used DeskMakers to have that very non-corporate, non-cookie cutter workstation vibe that [Bully Pulpit Interactive] was looking for,” says Tad Burns, the Principal at The Forum, LLC. 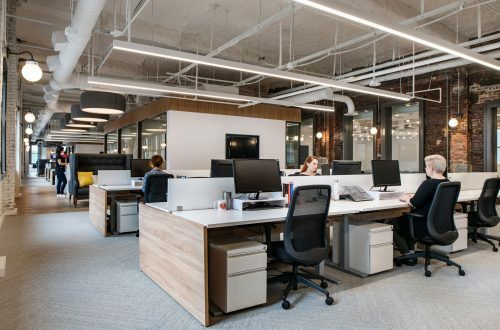 The end result is a unique office space that didn’t break the bank to design.